How did Burnside Hospital review their process for managing blood? Burnside Hospital’s nursing staff took a proactive approach following the 2010 ACHA surveyor recommendations. Initial investigations revealed that approximately 60% of crossmatched red blood cells were returned to their issuing pathology provider after a 3-day period. Only 40% of crossmatch blood was actually transfused. This represents a crossmatched to transfused ratio of 2.5:1. Recovery Unit nurses could spend up to 2 hours per day on red blood cell management. This included receiving stock from up to 4 separate private pathology companies, manually checking and logging the units, monitoring the blood fridge, phoning the ward staff every day to see if the post-operative patients with crossmatched blood were likely to require it, and ensuring unused units were returned. The practice also affected ward nursing staff, taking them away from direct patient care to follow-up on the likelihood of transfusion. The data produced from this audit provided preliminary information on where improvements on red cell inventory management could be made and led to a larger, in-depth audit. Burnside Hospital drilled down to the ordering and usage data at the specialty level, and then at the individual surgeon level. This audit reviewed what, if any, preoperative test was ordered, that is; group and save or crossmatch, quantity of red blood cells ordered and the transfusion rate for each surgeon. The audit identified that the preoperative ordered blood cell ordering practices varied among the surgeons. Most notably, the findings showed that more than two and a half times as much blood was cross-matched than actually transfused. Concurrently, Burnside Hospital’s Medical Executive Committee requested “turnaround times” for all blood products from each of their pathology providers – the time expected for an ordered product to arrive at the hospital for both patients with a current group and save and those without. The information was tabled at the Perioperative Committee for review and was accepted by the Clinical Review Committee before it was collated and made available to all staff. 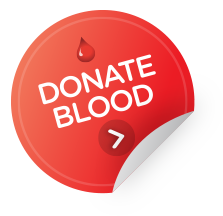 This information is available in relevant clinical areas to assist clinicians when ordering blood who now know they can receive blood from a group and save in 30 minutes to 1 hour depending on the pathology provider. In an emergency, group specific unmatched blood is available in 20 minutes. Additionally, the onsite blood fridge holds four O negative units which can be used immediately if required. How did Burnside Hospital make the change? Burnside Hospital actively engaged staff in discussion surrounding blood ordering practices. As the audit identified perioperative blood ordering and transfusion practices on a specialty and also individual level, the Clinical Manager Perioperative Services was able to initiate discussions with each surgeon regarding the audit findings. These simple conversations resulted in an immediate change in practice with a significant reduction in the number of red cells entering the hospital. In addition, the availability of the new “turnaround form” provided reassurance that blood could be accessed promptly. Any clinician ordering blood at Burnside Hospital is encouraged to order in accordance with the national Patient Blood Management Guidelines, and to reflect on their own usage rates when placing orders. The hospital executive team now include a discussion in the orientation of new Visiting Medical Officers in regards to availability, processes and expectation around blood ordering and use at Burnside Hospital. In addition a section regarding blood is sometimes included in the hospital bulletin for doctors. The ongoing education has assisted with the sustained change and continuing improvements.